Each individual’s foot and lower limb functions differently. The foot movements, lower limb requirements and biomechanics then vary depending on the sport you play. The support, treatment and footwear you require to run a marathon is very different to that required to play basketball and different again for football. It is best that you get assessed properly in order to function at your optimum and treat and prevent injury for your chosen sport. Many of the conditions outlined in “For Adults”, such as plantar fasciitis, heel spurs, patella-femoral pain, shin splints etc. occur during sport and the onset is often more rapid and the pain more intense due to the additional load during sport. The lower limb biomechanics of the individual needs to be assessed and matched to the biomechanical requirements for the individual sport. In a nut shell, don’t attempt it without a thorough assessment first. There is a movement towards barefoot running or minimalist shoe running, some think it is a phase that will not last long, and others think it is here to stay. At the moment it is “fad” with much research still required. If you are going to attempt this we strongly recommend a thorough assessment as many people are going to injure themselves when attempting to do this. 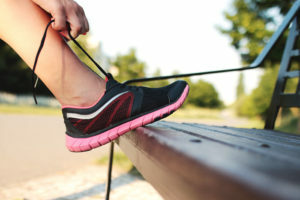 Some shoe companies have refused to manufacture minimalist shoes because they do not want to tarnish their brand when runners start to injure themselves. For the biomechanically well aligned athlete who has conditioned themselves over a long period of time there is merit in this form of running. This is however a minority of people and we strongly recommend seeing us before attempting to do it.